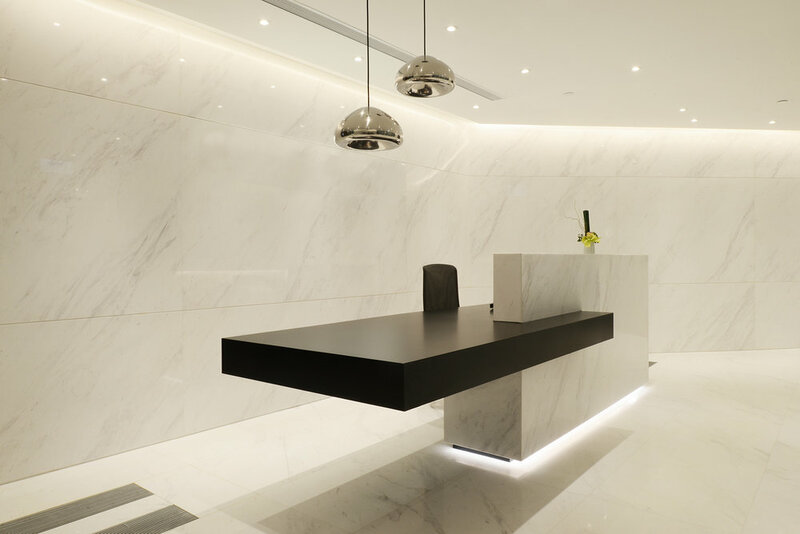 Using a simple palette of white marble with matte black metal and walnut veneer, we wanted to create a timeless yet contemporary corporate workplace interior. 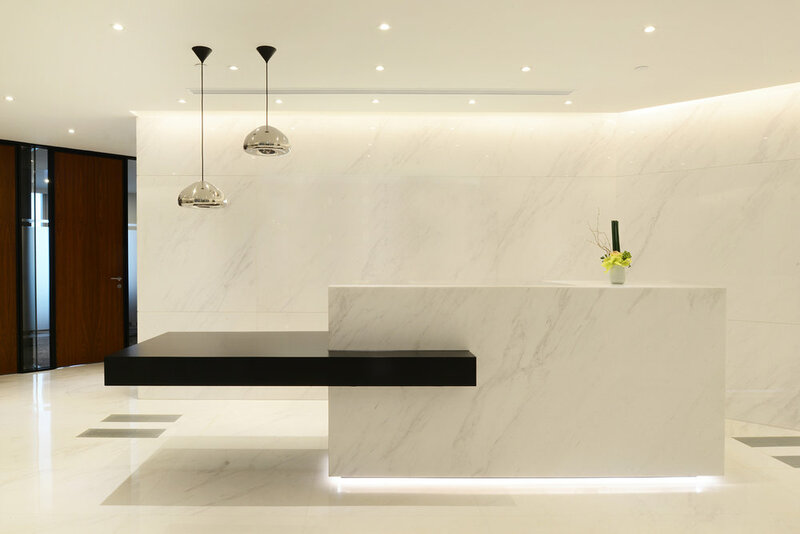 White marble was used from the floor to the wall to create continuity as well as to create a bright and airy environment in the reception which is not exposed to any natural light. 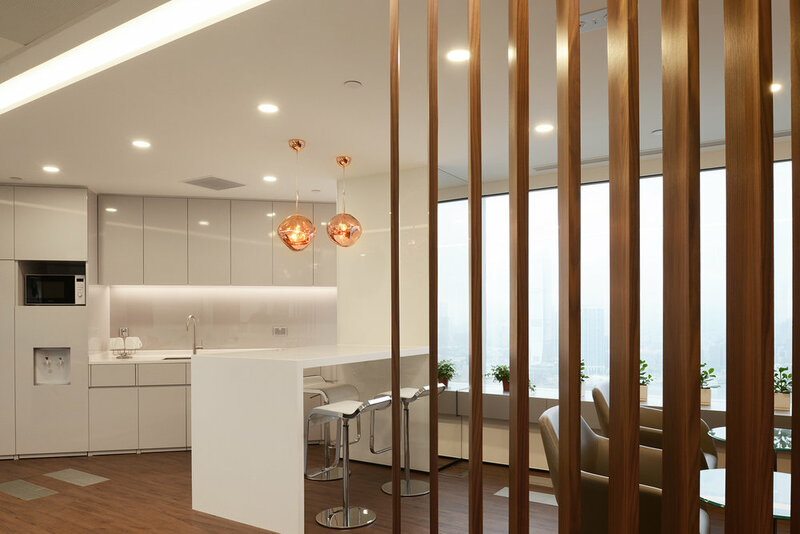 To further maximise light intake into the central work area, the team designed a special glass partition system whereby a section of glass insert replaces a solid wall structure between the meeting rooms located along the perimeter of the building with full height glass.